North West facing 3BHK 1850 sqft. 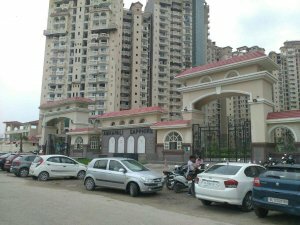 Apartment flat for sale at Amrapali Sapphire Phase II Sector 45 Noida.The apartment is a Semi furnished property with Chimney Modular Kitchen Wardrobes.The property is Ready to Move.The building has a total of 22 floors and the apartment is on the 4th Floor.The apartment is available for sale at Rs 6000/ sqft. Negotiable.This apartment also has 2 balconies and a Servent room.The apartment offers you with amenities like 24x7 power back upto 5 KV, Lifts, Gym, Security, Intercom, CCTV, Park, Service lifts, Jogging track, Fire Safety.SBI, LIC Housing, ICICI and Axis Bank Approvals Env. Clearance, Approve by NDA, Fire NOC With this property say goodbye to all your parking woes as it comes with one Covered car parking slots Moreover since this is a pet friendly society you donot have to worry about your furry friends now. Nearest Landmark AMITY UNVERSITY Noida Greater Noida Expressway.